We never did get that Nintendo Vitality Sensor (though the company is now working on something grander). 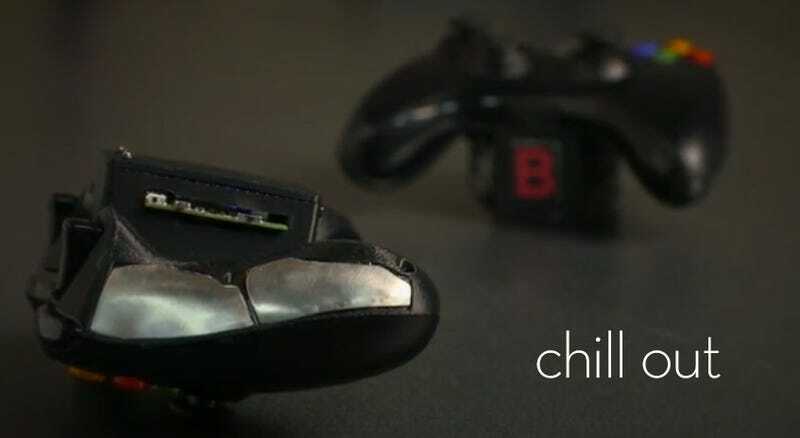 A researcher at Stanford, however, has gone and done something similar, only for an Xbox 360 controller. Gregory Kovacs, professor of electrical engineering at Stanford, worked with Texas Instruments (and his students) to develop the pad, which takes an existing 360 controller and through the addition of some plating lets it detect everything from the user's blood flow to their rate of breathing to their heart rate. "If a player wants maximum engagement and excitement, we can measure when they are getting bored and, for example, introduce more zombies into the level," says Corey McCall, one of Kovacs' students. "We can also control the game for children. If parents are concerned that their children are getting too wrapped up in the game, we can tone it down or remind them that it's time for a healthy break."